John Richardson - Virginia - Book a consultation instantly! John W. Richardson is the newest member of the Real Estate Team at WalcottRiversGates, and brings with him years of valuable experience and depth of knowledge as a legal practitioner. 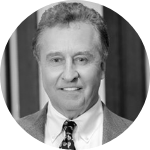 Beyond his work as legal counsel with WRG, John continues to serve as a Commissioner of Accounts for the Circuit Court of the City of Virginia Beach.